Dogs are the most common pets. But for some people, they prefer exotic animals over dogs. Uncommon as they seem, there are pet owners who love the different and unique challenges that come with owning an exotic animal, along with the thrill that comes with actually having one around the house. Here are extraordinary pets that you can legally bring home as pets. 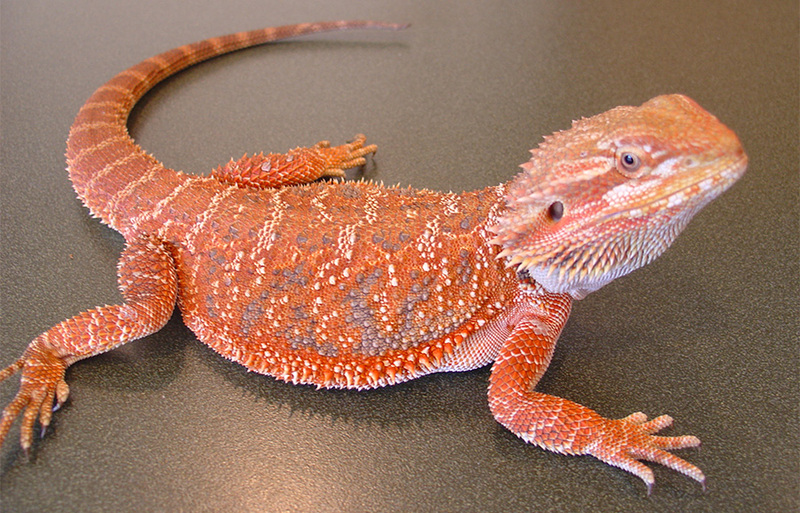 The bearded dragon is actually quite laid back and friendly. What you’ll love about it is that transporting them from one place to another is never a hassle, as it does not agitate when in a crowd. Known as one of the gentlest, friendliest reptiles, even children can play with the bearded dragon and not fear for their safety. But of course, kids must be supervised as they pet the animal. Although bearded dragons are praised for having great temperaments, you don’t know what little kids can do to upset them. If you want a furry animal that will be head over heels attached to you, a guinea pig is a great choice. It feeds on just pellets and hays and crave attention and company. If you can’t be always around to play with your guinea pig, it is smart to give him company by getting a second guinea. You will surely love the sight of this little critter. A member of the possum family the sugar glider is gaining popularity among pet lovers for the past decade. The small marsupials are in a manageable size at about 6 inches long and do not require special attention in terms of pet care so no need to call mobile dog grooming for them, that’s for sure! Beyond their sharp appearance are sensitive and shy creatures that are wonderful to interact with. Their personality is honed further as you interact with them constantly. That means, owning a hedgehog would require your commitment to devote some time playing and fooling around. They certainly could scare you off at first sight because, hey, they are extra-large spiders that seem ready to attack anytime. But in reality, tarantulas are generally harmless. They also do not eat much and are pretty low maintenance, unless you count play time several times a day demanding. If there is one animal you can keep as a pet for five decades, it’s the turtle. These slow moving reptiles are very low-maintenance and has pretty impressive longevity status. It can live from 25-50 years and would only require a habitat that’s close to their own, with regular feeds of worms, snails, and fishes. Pigs are known to be smarter than dogs and also live longer, about 20 years or so. They have little care and maintenance requirements but you might get poor feeding them or have trouble transporting them because they can weigh over 400 pounds as adults. Looking at them through a pet owner’s point of view, cockroaches are not pests. The Madagascar Hissing Cockroach is slowly becoming a favorite pet because they are loyal and docile and, brace yourself, can survive a nuclear holocaust. Yes, they are built tough and you can call yourself a proud owner to have cared for one unique pet. Godzilla’s relative is another amazing exotic animal to pet at home. They are herbivores and do not move a lot. You just need to keep them in a comfortable haven where they can bask in sunlight and enjoy a relaxing, lazy day any day. If Ariel has Sebastian for a first pet, girls could imitate it by getting a hermit crab and place it comfortably in a nice aquarium. It is quite sensitive and needs excellent attention. It also needs high humidity, which will keep them against suffocation and ultimately, death. Mini Donkeys: Who Needs a Pony? Affectionate as they are funny, donkeys are great to have around and cuddle. They seek constant attention because they love bonding with their owners and building lasting relationships. Donkeys can be stubborn when they are not in the mood but they are cute and are generally gentle. Dogs might be a man’s best friend but you can certainly enjoy good company with other creatures as well. You can have a wonderful relationship with unique pets like the ones we have listed here. They may have different care requirements from dogs but making adjustments would not be as difficult because for the most part, they do not require a lot of care and maintenance.